Keep our air, water, soil and food clean and safe. Agilent holds many product and market leadership positions, including being first worldwide in overall test and measurement products, as well as in gas chromatographs and liquid chromatography/mass spectrometry. Agilent is also a leading test and measurement equipment supplier to the telecommunications industry. Next Advance, Inc. develops and sells innovative, high-value, user-friendly laboratory instruments for molecular biologists. Designed and tested by our multi-disciplined cross-trained staff, our products automate mundane tasks, freeing scientists from repetitive, time-consuming procedures. We have the best technical minds in the business. Our team is filled with people holding Ph.D.s in molecular biology and related fields to help you to develop the best protocols for your samples. From day one, we put a priority on quick and effective tech support. And as we've grown, we've added more qualified scientists to the team. More than 40 years of "Flow Experience" characterizes the pioneering leadership of Partec. 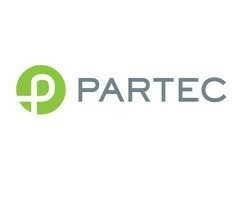 Almost 60 patents in the field of cell analysis impressively demonstrate the commitment of Partec to push the stages of technological innovation with further development of sophisticated and cutting-edge Flow Cytometry instrumentation. Partec was established in 1967 and, in 1968-69, brought to market worldwide, the Impulsecytophotometer ICP 11, the first fluorescence-based and commercial flow cytometer (FCM). This analysis method was later renamed in 1978. Continued scientific research and development resulted in today’s advanced generation of high precision instruments and procedures for cell analysis. Today, in addition to most advanced FCM instruments, Partec provides complete solutions for many cell analysis applications, covering reagents, protocols, accessories, application support, training, and service. By combining the latest scientific and biotechnological knowledge into clever and cost-effective solutions, based on easily applied analysis procedures and instruments, Partec can provide excellent automated cell analysis tools with higher precision and more affordability than ever before. Flow cytometry has evolved today to become the key method for precise and rapid cell analysis. With continuous innovation, Partec now makes available flow cytometers, reagents and new, dedicated applications that are easier to use and more affordable than ever before. Partec will continue to expand the broad range of applications, which can be perfectly covered with Partec Flow Cytometry technology by dedicated instruments for human healthcare, microbiology, industrial applications, food quality control, plant and animal research, etc. Further development will benefit from the CyTecs Component Technologies division, a renowned and reputable developer and producer of Flow Cytometry modules, which is employing the most modern and sophisticated production line with state-of-the-art CNC controlled automated production centers and guaranteeing the highest quality, precision, and availability of FCM related components.